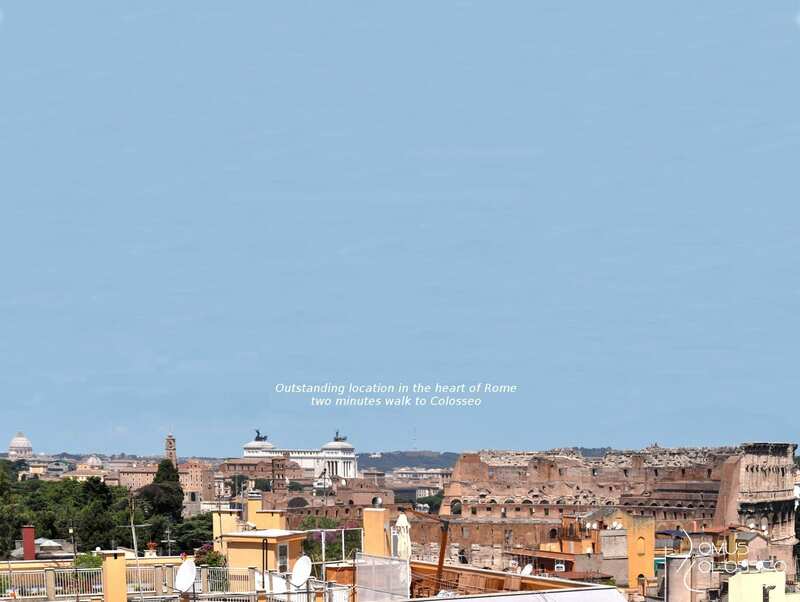 Domus Colosseo Roof Garden is a sunny and luxury penthouse arranged on 3 floors with a breathtaking 360° view over the heart of ancient Rome. 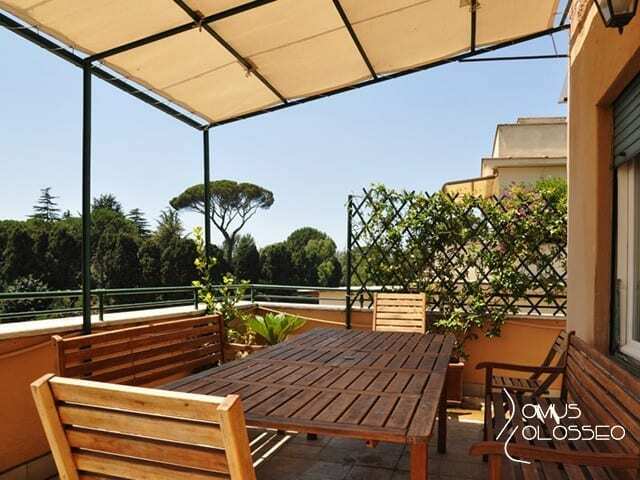 It is ideal for families and groups spending holidays in the Eternal City. 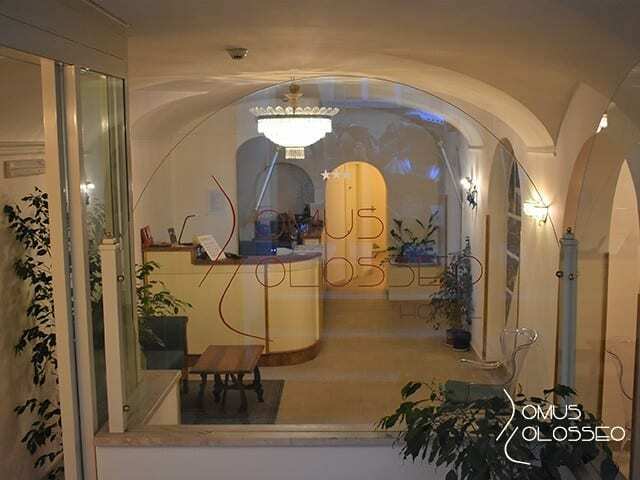 Located in the heart of ancient Rome, Domus Colosseo Hotel – open since March 25, 2017 – is perfect for those who love both the majestic Roman antiquities and the little alleys or squares with their charming Dolce Vita. Suite Novecento is at the top floor of the Domus Colosseo Hotel building. 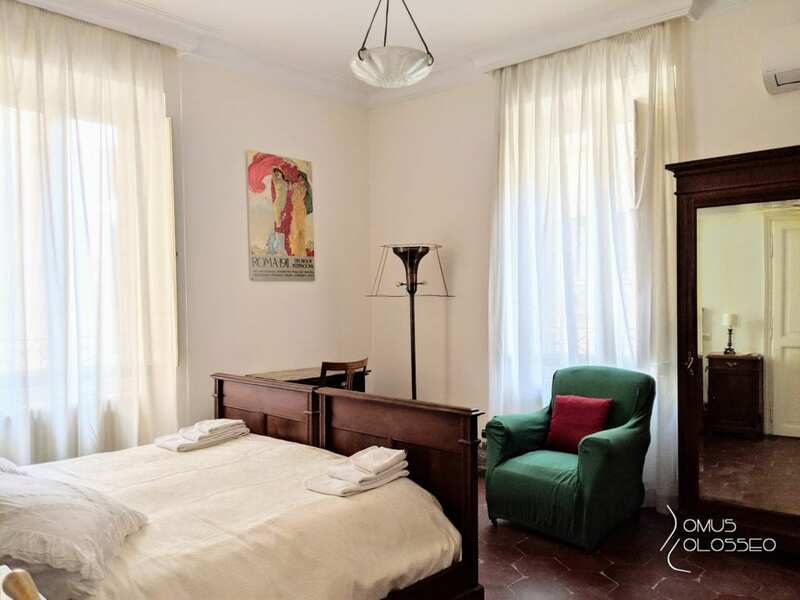 It has 2 adjoining spaces, plus kitchen, and it is furnished with 20th century furniture, like the original 1909 bedroom. "Perfect location, perfect apartment, even perfect hosts! Thank you for letting my tours stay here in your wonderful place! It is exquisite. It was wonderful getting to now you in person and sharing time on the rooftop terrace painting with my Mom! Also, thank you so much for letting us stay out of the rain a little longer when Rome was almost at a stand still with water! I look forward to seeing you again in 2012 with the next tours!" "Piękny apartament w pełni wyposażony. Spędziliśmy w nim wygodnie tydzień. Od pierwszego dnia czuliśmy sie jak w domu. Właściciele życzliwi i taktowni. Przygotowali dossier z kompletem informacji na temat Rzymu (mapki,godziny otwarcia muzeów, wizytówki restauracji itp.) Był nawet na DVD o zabytkach Rzymu oraz "Rzymskie wakacje" w 5 językach. Bellissimo appartamento in cui abbiamo trascorso comodamente 7 giorni. Ci siamo subito sentiti come a casa nostra. I proprietari gentilissimi ma riservati.